Many congratulations to Hugo Hunt who, in only his second ride of his career, enjoyed his first winning ride today at Salisbury riding PERFECT MISSION for Andrew Balding. Making a simple task of the race, Hugo made all to score stylishly with his mount staying on well to win by half a length from Graham Carson and HAIL PROMENADER. Many thanks indeed to Mangan and Webb Saddlers of Stow on the Wold, Gloucestershire, who are very kindly offering a 10% discount to all AJA members. Remember: Baseline concussion tests are required for all amateurs when first applying for an amateur licence. Thereafter a test is required every 5 years unless the rider has more than 25 rides per year or suffers multiple concussions within the previous year before renewing. 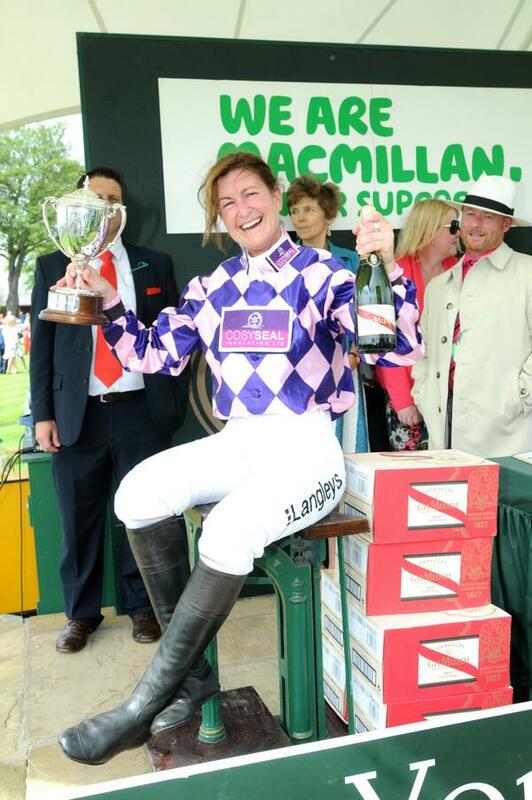 A thrilling Queen Mother’s Cup was enjoyed on Saturday with Europe’s richest lady amateur riders’ race taking place at York featuring three previous winners in Crackentorp (twice) and Nanton. Neither of these featured in the final stages however as the always handily placed PEARL CASTLE travelled well to hit the front, chased by Katie Walsh and SAPTAPADI. However, Pearl Castle was able to dig in well to stay on by a length and give Serena Brotherton her York hat trick, having won this race in 1999 with Flower O’Cannie (Serena’s first ever Flat winner) and with Sporting Gesture in 2003. Trainer John Quinn said “Experience was pivotal and the first 2 furlongs was the most important part. Serena rode him very well and I can see him turning up in some mile and a half handicaps.” Serena was rewarded with the traditional prize of her own weight in champagne kindly sponsored by GH Mumm and said “Winning this race all those years ago was special, and this is special.” Many congratulations to all winning connections. Congratulations to Joanne Walton who enjoyed success riding in Hexham’s 3 mile amateur handicap hurdle with George Bewley’s mare REV UP RUBY, leading over the last to stay on and get the better of TARTAN TIGER in a driving finish to score by a head. With the abandonment of racing at Lingfield on Saturday evening resulting in the loss of the amateur race, we are delighted to announce that following speedy negotiations with the BHA, Lingfield’s Clerk of the Course Neil Mackenzie-Ross has very kindly confirmed that an amateur race over 1m 2f 46-60 Handicap will now take place on 16th July. We are most grateful to Arena Racing, Lingfield Park Racecourse and the BHA for making this additional race possible. 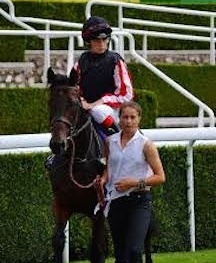 Congratulations to James Harding who enjoyed a repeat of 12 months ago when winning with BALMORAL CASTLE this evening at Goodwood for Hughie Morrison. This was James’s second winner of the season, having won recently at Newbury. 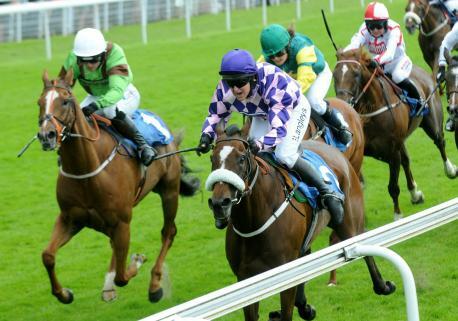 The Amateur Jockeys Association are delighted to welcome the return of the Betfair Novice Flat Amateur Series for 2014. The Series is open to amateur jockeys who are members of the AJA and who at the start of the 2014 Flat Season have ridden no more than 3 winners under the Rules of Racing (both Jump and Flat). This excludes Point-to-Point and Arab racing wins. The Amateur Jockeys Association will manage the series in consultation with the British Horseracing Authority. In addition Jimmy Bleasdale, Jockey Coach based at the Northern Racing College near Doncaster, will be in attendance to walk the course with the participating jockeys before each race and to offer them help and advice. This year the series has grown from 6 to 8 races culminating in the finale at Carlisle’s meeting on Wednesday 27th August. Points will be awarded to riders with 10 points for the winner, 6 for second, 4 for third and 2 for fourth. Also-rans will be awarded 1 point. In addition to winning connections being presented with Betfair trophies after each race, the winning series jockey will be presented with the Betfair Novice Flat Amateur Series Trophy.